Why I Fell in Love With My Air Fryer and feel the need to share this best airfryer review. So my husband and I recently built our first home with this beautiful kitchen I love to cook in. Chicken wings and fries are one of our favorite casual foods…but who wants to smell that oil all throughout the house for hours and sometimes days when frying? I don’t, especially not in our new home. Besides the fact that frying anything adds mounds of calories, it just isn’t healthy regardless of where you are in your dieting lifestyle. But then there’s the taste factor. Baking doesn’t come nearly as close to how crispy fried wings and fried French fries taste. Ohhh, they’re golden in color and packed with flavor. How could I ever have that same experience without the fat and calories traditional baking costs? While poking around in one of my Facebook groups, someone showed a picture of their mocked “fried chicken nuggets” that used no oil. I was floored! I’d never heard of such a gadget as an Air Fryer. I immediately began researching this life saver. 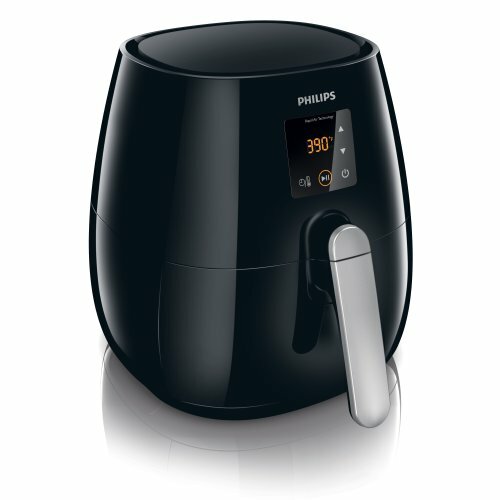 After conducting my research, I settled on the Philips Air Fryer. This beauty air fries my chicken nuggets and French fries like you wouldn’t believe. The house doesn’t smell, I’m not trying to discard old oil, and clean up is super easy. I purchased the black one, although it is also offered in white. It goes very well with my kitchen and doesn’t take up a lot of space. This particular one comes with a savvy recipe booklet and simple instructions for use. 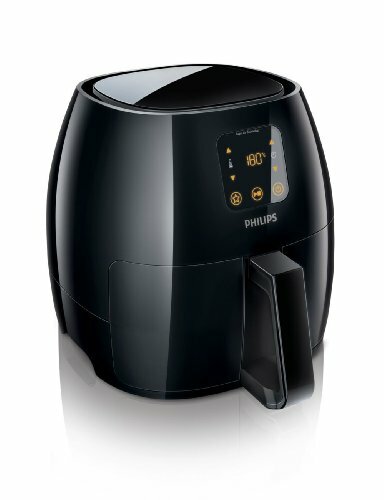 This is the Phillips Airfryer I use to make my breaded chicken for chicken salads and breaded fish with spinach. While you put spinach in the airfryer it crisps up like chips. Kinda puts a new spin on the old standard, fish and chips, right? Because it is only my husband and myself that I cook for these days this model works perfect for us. It would also be a terrific addition to dorm room cooking. Microwave everything gets old fast and I’m not convinced it is all that good for you to begin with to microwave all of your food. 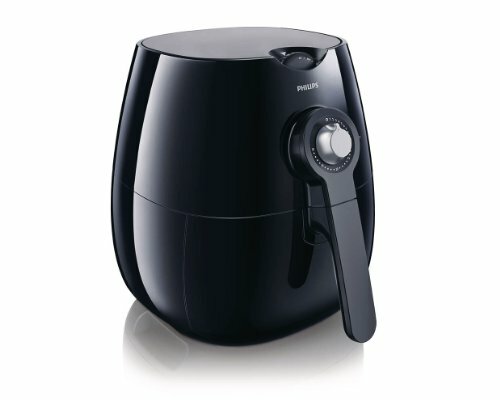 Every product has its pros and cons and my best airfryer review would not be complete if I didn’t include them here. You can also read the myriad of rave reviews over here on Amazon. One of the first pros, could also be a con based on your family size. It is a compact, but not small kitchen appliance. You can cook enough food at one time for one or two people. It, of course requires no oil, though you can use Pam if you really feel the need. One of the main cons of this product is the noise from the fan. Although it sounds similar to the microwave vent fan to me, some people think it’s too loud. In my opinion, it’s much better than the vent I had to constantly run while frying on the stove top. The middle Phillips Airfryer pictured here is the one we use.